Note: These are the last three filings approved in geauxBIZ within the last 120 days. I'm not receiving email messages from geauxBIZ. How do I fix this? Some email applications may move messages from the Inbox to a different folder, such as Junk, Spam, or Clutter. You can prevent geauxBIZ messages from getting moved by adding the address donotreply@sos.la.gov to your address book. You can also try locating a geauxBIZ message in a Junk or Spam folder, and then select the option to "Allow messages from this Sender" or mark them "Not Junk." Some email applications may not deliver messages from unrecognized senders. Your Information Technology staff may need to whitelist sos.la.gov in your organization's spam filter application. 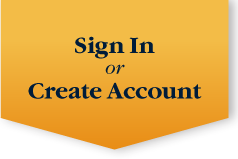 Why do I need to create an account and sign in? manage all your business associations on the My Businesses tab. It's no longer necessary to search for your businesses one-at-a-time to see the filings and amendments. view all your business filings on the My Filings tab. After your business filing is accepted, you can access your business documents for 120 days. There's no need to search for old email messages with links to your business documents. save a draft of your filing. There's no need to rush to complete your filing in a single session. Draft filings are available on the My Filings tab for up to 14 days after they are created. edit and resubmit rejected filings. You can correct rejected business filings and refile them rather than having to start over from scratch. You can edit and resubmit a rejected filing for up to 14 days after it was rejected. The online business registration allows you to file your business (i.e. corporation, LLC, partnership, etc. ), register for a Louisiana tax account number and apply for an unemployment insurance account number. Use of this system streamlines the registration process by providing access to three agencies in one place. The system also allows us to process applications more accurately and efficiently. Click Sign In, and then sign in to geauxBIZ. 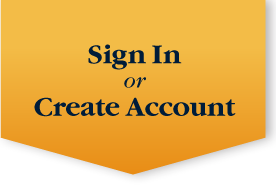 If you are signing in for the first time, click Create Account to create an account and verify your email address. On your dashboard, click Getting Started. Select File an amendment, such as an annual report, with the Louisiana Secretary of State, and then click Next. Enter your charter number, and then click Next. On your business' details page, click File Annual Report. Follow the instructions in geauxBIZ to complete your filing. For more information, please view Maintain: Filing Amendments, such as Annual Reports. What browsers or devices are compatible with geauxBIZ? The full, desktop version of geauxBIZ was designed for Microsoft Internet Explorer, Google Chrome, Mozilla Firefox, and Apple Safari web browsers with a screen resolution of 1080 × 1024 (or higher). geauxBIZ also includes fully-functional tablet and mobile versions that render geauxBIZ at lower resolutions common to tablets and mobile devices. The version of geauxBIZ that you see depends on your current screen resolution and the size of your browser window. of the browser’s rendering engine. This feature is designed to render older web sites correctly, but this feature is not necessary and will not work with geauxBIZ. geauxBIZ supports any mobile device that is designed to run one of the above browsers; however, not all features are available across all mobile devices. For example, file uploads must be completed from a device that has a user-accessible file system, so a file can be selected to upload. If the device you are using cannot perform a function required by geauxBIZ, geauxBIZ allows you to save your work as a draft, and return later when you can complete the task from a different device or computer. Sign in to create a business license checklist. This checklist names resources to help plan, make key financial decisions, and complete legal activities necessary to start a business.